In recent news, the burial mask of Tutankhamun once again made headlines across the world when the beard was somehow “broken off” during an incident at the Egyptian Museum in Cairo and hastily, incorrectly, repaired by museum staff. The plethora of news articles, interviews, and press conferences regarding the incident makes it extremely difficult to uncover what really happened; so here, for your reading pleasure, is the play by-play account of one of the most disputed works of conservation in recent history. For an unconfirmed reason (some stating that the lights of the case needed repair) it was necessary that the mask be removed from the case. While removing the mask, the museum staff member handled the mask inappropriately and the beard was once again separated from the main body of the mask. Although the mask should have been taken to a secure conservation location so that repairs could be performed, museum staff were concerned that the mask would not be ready for immediate display if they followed this protocol. In a hasty attempt to address this concern, the museum staff used epoxy glue to re-adhere the beard to the rest of the mask. Due to its chemical properties (which I will not even attempt to explain because I am NOT a conservator) the epoxy was clearly, tragically, visible after the repair. 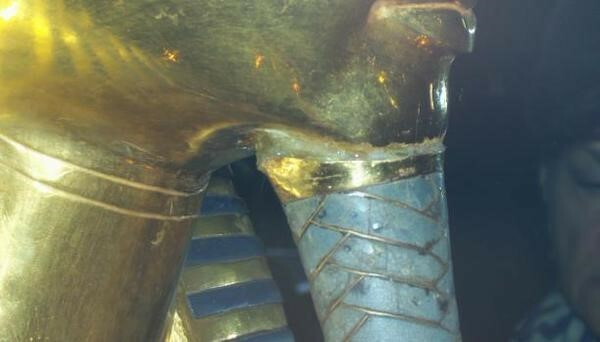 There were further rumors that epoxy had dripped on to the face of the mask itself, and in their attempt to clean the drips off the mask, the museum staff had scratched the mask irreversibly. When the news broke that the mask had been damaged, the press and museum world flew into a frenzy. There were conflicting reports coming out simultaneously, museum officials were denying the breakage had even occurred, and the state of the mask was still unknown. *Eckmann did acknowledge the scratch on the face of the mask, but he determined it is impossible to identify if the scratch is ancient, recent, or modern, at the present moment. Moving forward, a committee of experts comprised of conservators, archaeologists, and natural scientists will be formed in order to develop a plan for proper conservation of the mask. If nothing else, this incident has brought to light the importance of proper conservation. 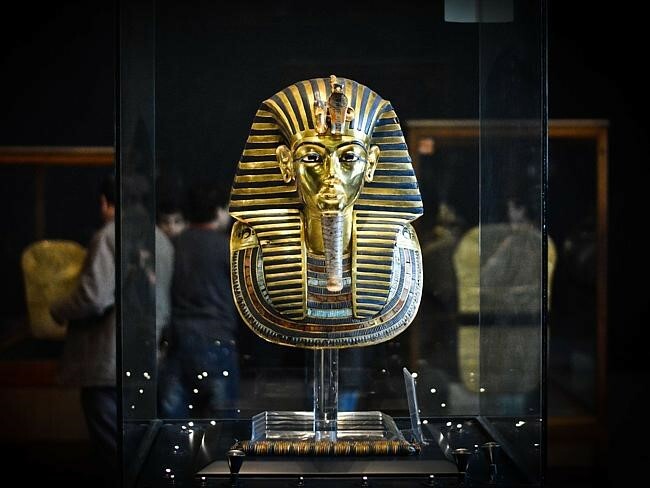 Although the most popular objects of every museum, like the mask of King Tut, inspire tourists and bring a significant number of visitors to the museum’s city, the mission of a museum is to showcase the objects AND care for them; in order to care for them properly, we must take the time to conserve them appropriately out of the public eye. 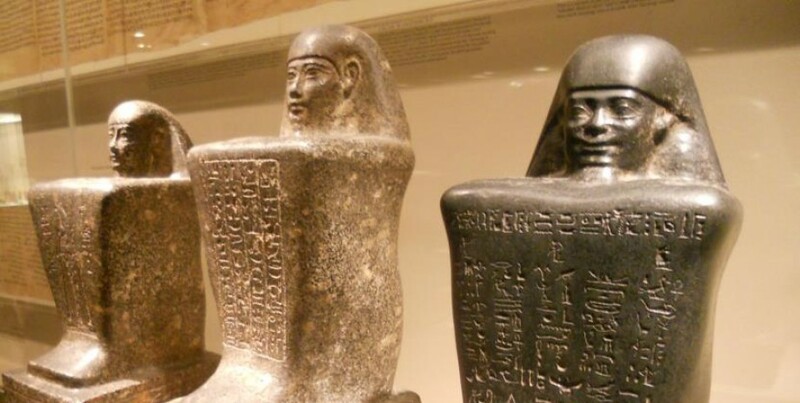 Tut, tut, we say to you, Egyptian Museum in Cairo. Tut, tut.